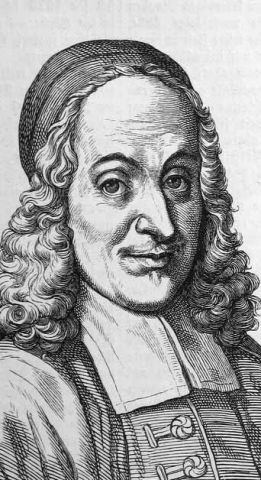 Today in 1635, the Lutheran pastor who came to be known as Father of Pietism was born. a. The Bible ought to be read diligently in households, by the head of the family or whoever is literate. b. Entire books of the Bible ought to be read aloud for groups, one after another, as part of the public church service, without further comment. c. Church meetings should sometimes be held in which each church member who had been blessed with insight or wisdom would share what they understood. This could happen in small groups, led by a minister, and open to discussion among all participants. 3. “It is by no means enough to have knowledge of the Christian faith, for Christianity consists rather of practice.” Spener feared a faith that just flits around in the head. He was, after all, the father of Pietism: heartfelt Christianity that expresses itself in love. 4. We must be careful how we engage in theological controversy. Disputation is frequently necessary, and only a naive church would imagine otherwise. But the spiritual dangers connected with doctrinal fighting were abundantly evident in Spener’s day. 6. Good sermons ought to be preached. Really good sermons. As his chief example of good sermons, Spener points to the preaching of Johann Arndt (Pia Desideria was originally written as a preface for a collection of Arndt sermons). Some of these recommendations have become commonplace now, especially for those of us who are downstream from Spener’s influence. But some of them describe a better situation than we are currently in. The church scene of the 21st century surely needs what Spener recommended in the Pia Desideria.